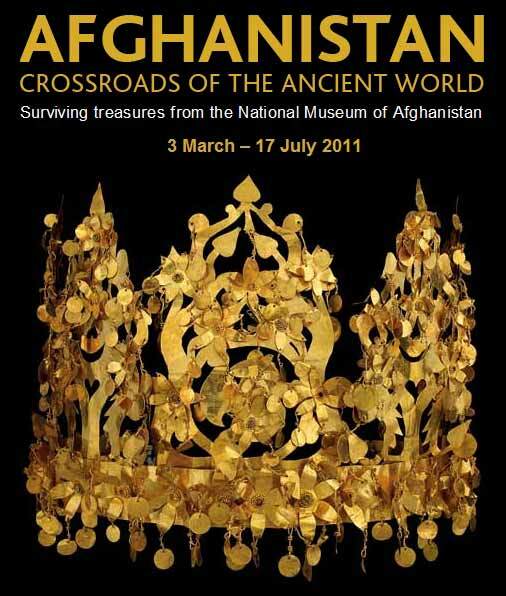 Afghanistan: Crossroads of the Ancient World highlights some of the most important archaeological discoveries from ancient Afghanistan and displays precious and unique pieces on loan from the National Museum of Afghanistan in Kabul currently undergoing reconstruction. The exhibition showcase over 200 stunning objects belonging to the National Museum of Afghanistan, accompanied by selected items from the British Museum. The artefacts range from Classical sculptures, polychrome ivory inlays originally attached to imported Indian furniture, enamelled Roman glass and polished stone tableware brought from Egypt, to delicate inlaid gold personal ornaments worn by the nomadic elite.